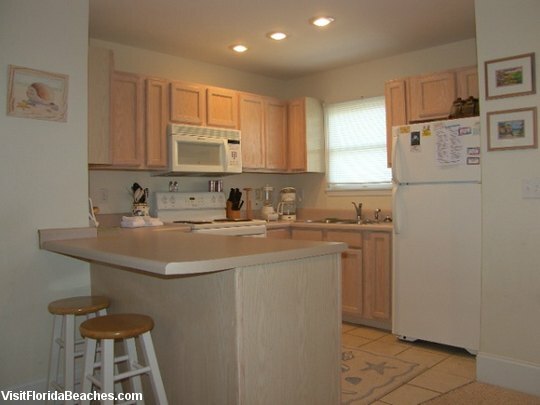 Take a relaxing vacation in this Barrier Dune townhome. This 3 bedroom 3.5 bath townhome is beautifully decorated. Each bedroom has its own bathroom and the top floor is a private master suite. This property is located on a stretch of Cape San Blas beach that has just recently been renourished. Floor plan: Ground Level: covered parking, outdoor shower; 1st level-living room with sofa sleeper, TV, DVD, VCR, stereo, fireplace; dining area, kitchen, 1/2 bath, deck with ground level access and washer/dryer. 2nd level-Bedroom 1-queen bed, TV, full bath and balcony; and Bedroom 2-queen bed, TV, full bath and small balcony. 3rd level-Suite with queen bed, TV, full bath with Jacuzzi tub.